I try not to recommend any more World War II books, but I have read another one that is a fabulous story and should be shared. 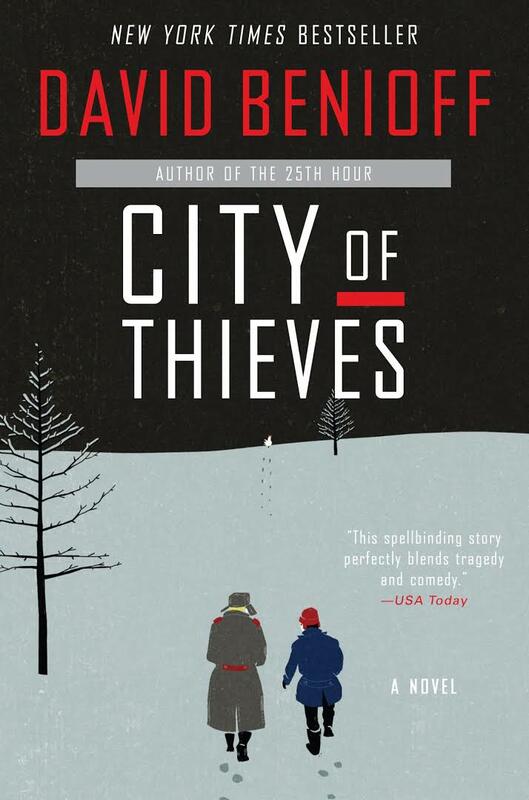 “The Book Thief”, “All the Light We Cannot See”, “Nightingale”; I recommend them all and now I can add to the list “City of Thieves” by David Benioff. An amazing story of two young Russian misfits on an unusual mission that takes them on unthinkable and life-threatening adventures. Do people do that? Change their minds based on a commercial. Maybe the commercials are just meant to justify the decision that has already been made and give people some educational dialog for the office copy room. I am happy for the boost to our economy with all of this advertising. The USPS employees and the trash collectors are super busy distributing and collecting the fancy fliers. The marketing firms and tv stations must be doing well too. And think of all the drinking games that have increased sales in alcoholic beverages during the debates. Thanks for sharing the wealth and boosting our economy all you politicians. My favorites are the commercials with the dark prison looking mug shots of the opponent that the commercials are attacking accompanied by the deep secretive voice. In Montana, the happy non-attacking commercials always show the politicians fly fishing. Fly fishing must make you a trustworthy person. But they are all fly fishing so it doesn’t help with your decision. Assuming that is what you base your decision on. For more great book recommendations check out the Wild About Books blog.